Getting out of your bed every morning is a real struggle, especially with the cold temperatures during winter. If you are one of those who are missing the summer warmth, then you should pack your bags and book a flight to Port Vila, Vanuatu. It is time to skip the Australian winter and have a warm, summer holiday at Island Magic Resort! Vanuatu is one of the favourite destinations of Australian holidaymakers who are looking to bask in the breathtaking sunset, unique culture, crystal blue waters, and that summer heat. There are a lot of Vanuatu packages and hotel deals available all year round that will definitely make your Vanuatu holidays unforgettable. To experience the best of what the island paradise has to offer, we highly recommend that you stay in our beachfront resort Vanuatu, Island Magic Resort. Island Magic Resort is a 4-star Vanuatu accommodation that is surrounded by tropical trees and gardens. It boasts an impressive view of the island’s shorelines and its pristine, blue waters, making it one of the top hotel destinations in Port Vila. Island Magic Resort is also the perfect go-to place of couples, honeymooners, and families due to its wide array of packages, finest Port Vila accommodation and hospitality, and super fun activities for everyone. Another thing that makes Island Magic Resort a popular haven for tourists is its great location. The resort is just a 10-minute ride from Port Vila International Airport, and is situated on the oceanfront of Mele Bay. If you are looking for great Vanuatu hotel deals and Port Vila Accommodation that is worth every buck, come and visit Island Magic Resort! Bring your family and loved ones in Vanuatu and enjoy the warm, summer holiday with Island Magic Resort. Guests are guaranteed to have a 4-star Vanuatu accommodation with our bungalows and oceanfront studios. Couples and newlyweds are recommended to stay at our studios, which have exclusive access to the island’s romantic sunset view. Meanwhile, big groups and families will get big Vanuatu hotel deals if they book our 2-bedroom bungalows. The rooms can sleep up to 5 guests, and have laundry and ironing facilities, a dining area, lounge room, and fully-equipped kitchen. Click here to know more about Island Magic Resort’s 4-star Vanuatu accommodation. In terms of fun-filled activities, Island Magic Resort offers a variety of things to do during your stay. Those who are into adventure can try the 800-metre long zipline that traverses through the canyon and ends at the majestic secret waterfalls. Families and groups will definitely have some fun at the wildest Zorb ride in the world: the Wet N Wild Zorbing. What’s more thrilling than rolling down the breathtaking Mele Hills while inside a 2.5-metre giant, inflatable hydro ball? Nature-lovers can book guided tours of the famous Summit Gardens and the picturesque Mele Cascades waterfalls. Click here to book these activities and more. Book Now and Save Big Bucks! Island Magic Resort has amazing Vanuatu hotel deals and packages. If you are an early bird and booked at least three months before your Vanuatu holiday, you will get a 30 percent discount when you stay for at least four nights! It also comes with a welcome drink upon arrival, complimentary Wi-Fi, and a continental breakfast. Just use the code ADVANCE when you book. We also have something special for families. The Family Fun package (7-night accommodation) for two adults and two children comes with airport transfers, free Wi-Fi, complimentary breakfasts, and passes to the Giant Slippery waterslide and the Vanuatu Jungle Zipline. All these for $2123, saving you of approximately $940! Don’t forget to use the code FAMILYFUN. More deals and packages are in store for you! Click here to see which one works for you. With Australian winter just around the corner, Vanuatu’s temperate climate, friendly people, fun-filled activities, and breathtaking view makes it as the perfect destination of those who are skipping the winter down under. 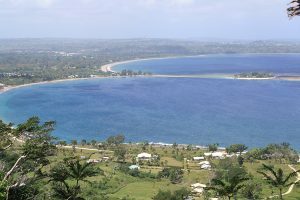 If you are looking for good Vanuatu packages, Island Magic Resort got you covered. Contact us TODAY to experience the best of Vanuatu holidays.